In the midst of the exquisite beauty of Baba Budan range, Kemmangundi or K.R. Hills is located. This range received the name K.R. Hills after the ruler of Wodeyar, KrishnaragaWodeyar made this hill station his favorite summer camp. Blessed with thick forest, flora and numerous sunset points, this hill station is the perfect retreat for travelers. 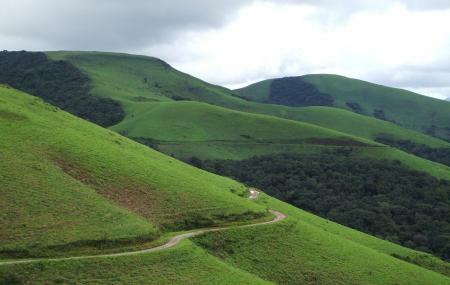 One of the most popular peaks of this region is Z-point offering bird view of Shola grass lands of the Western Ghats. Other than these, waterfalls like Kallathagiri and Hebbe are considered as the best picnic spots of Chikmagalur. For adventurous junkies, Kemmangundi has lots of mountain peaks and thick forest paths for exploration. All in all, Kemmangundi is a perfect treat for everyone who comes to Chikmagalur. Accommodations are available at Kemmangundi for overnight stay. Carry hiking shoes as trekking is required to visit Hebbe falls. Morning hours are recommended to visit Kemmangundi hills. People normally club together Madagadakere Lake and Deviramma Temple while planning their visit to Kemmangundi. People also prefer to end their day with Kemmangundi.